Saint-Omer is a picturesque commune with many old buildings left over from the 16th and 17th centuries. 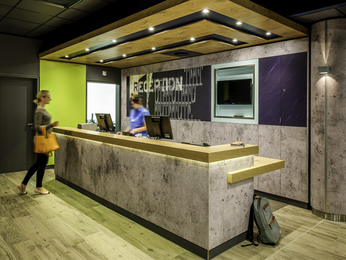 A fine choice of ibis hotels in Saint-Omer are available to choose from with rooms at prices to suit you. Perhaps the single most recognisable building in Saint-Omer is the cathedral. A national monument in France, the cathedral was built mostly in the 13th and 14th Centuries, but was not finally completed until the square tower was added in 1499. Nearby La Coupole is a museum that tells the history of the area's war record, showing the development of German V1 and V2 missiles that were being designed and tested in the area. The museum itself is in a bunker created for the preparation and launching of V2 missiles, which posed an enormous threat to the allied forces. Saint-Omer can be accessed easily by train or by road. 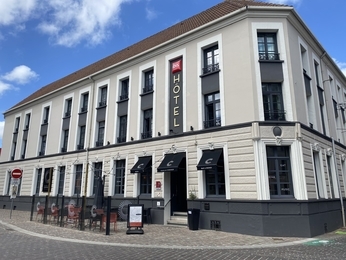 Booking a hotel in Saint-Omer couldn't be easier. Simply browse our selection of hotels below and choose one that best suits your needs. Booking online with AccorHotels offers a host of benefits, including our Best Price Guarantee and last minute and real-time room availability.